These past couple of days have been the start of a hectic couple of weeks at the Media Centre in Gilwell Park. We have been looking through all the stories of peoples adventures and aiming to get them out to all the local press. It has been tough but its very rewarding when we see the results. 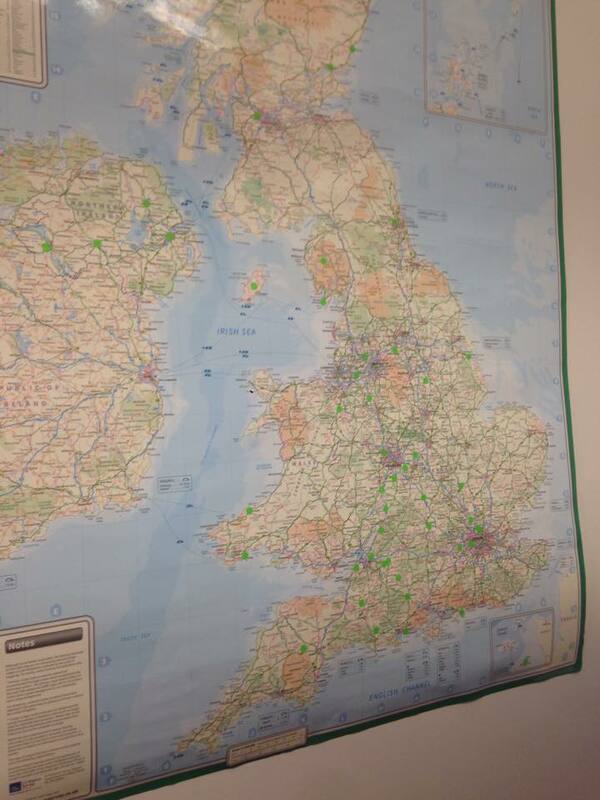 The green dots represent where we have managed to reach different media outlets for that area. Pretty impressive for 3 days work! 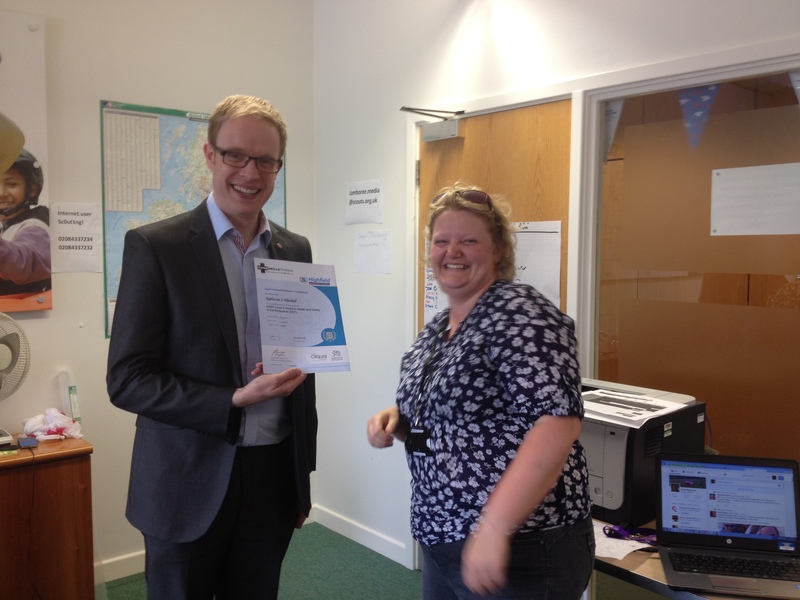 Also away from the Jamboree just to keep you updated, one of our team members Kate received her certificate today from a Health and Safety course she attended. WOOHOO well done Kate!! 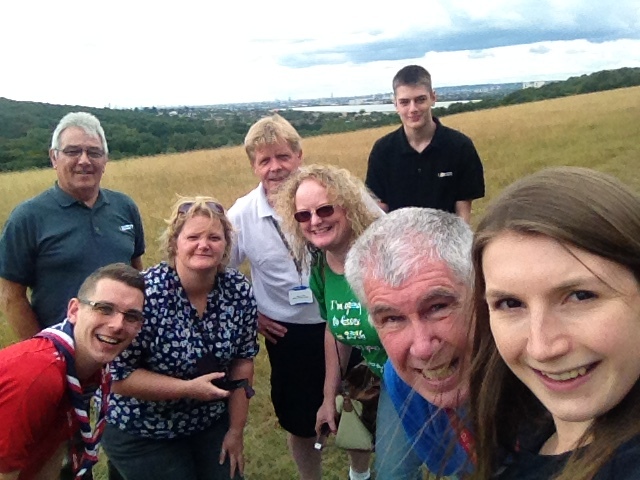 Also some of our team enjoyed a lunchtime stroll and took a quick selfie… that’s the law right? We now declare the Jamboree OPEN! What an amazing event the Opening Ceremony looked, and we were just sat in an office! 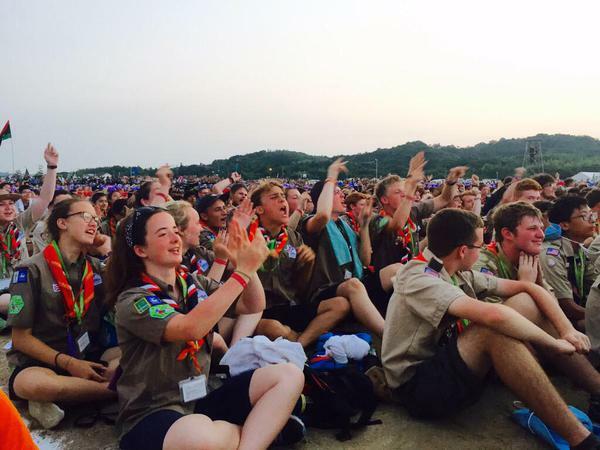 If you didn’t get to see it then just imagine a sea of scouts that were cheering, waving flags and dancing around! 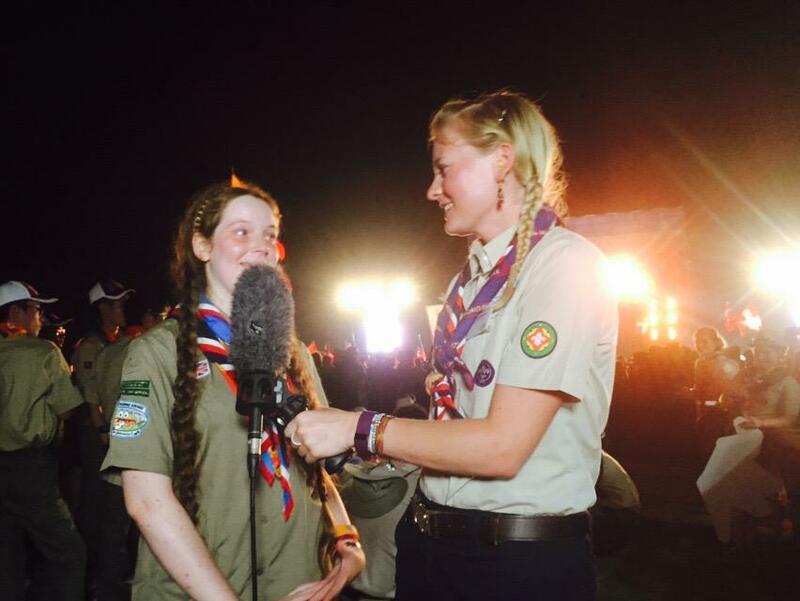 Speaking to our Deputy Youth Commissioner Jay Thompson, after the opening ceremony ‘I was blown away by the opening ceremony. Such an amazing spirit of unity! 34,000 from 150 countries! Here are a few of our favourite images from the opening ceremony! Thanks to everyone who keeps us updated with everything from Japan. 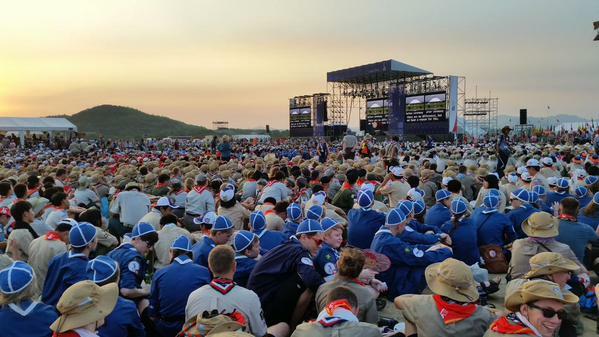 Adults at the Jamboree are using 3 million hours of holiday time to be here for scouts from around the world. These numbers are AMAZING and we honestly can’t thank all of our Adult Volunteers for giving our scouts the adventure of a life time! All UK Scouts have ARRIVED!! The opening ceremony took place on 27 July 2011. It included the history of Sweden, with music including the jamboree song “Changing the world” performed by Daniel Lemma and Pär Klang. Also included was a procession of flags (one from each country) and the official handover from Great Britain to Sweden, which involved Bear Grylls abseiling down from the roof of the stage! The event was held for 12 days between 27 July and 8 August, in Hylands Park, Chelmsford, Essex. This site was selected because of the easy access to air and sea transport, and it is also near Gilwell Park, an important campsite and training centre for Scout Leaders. 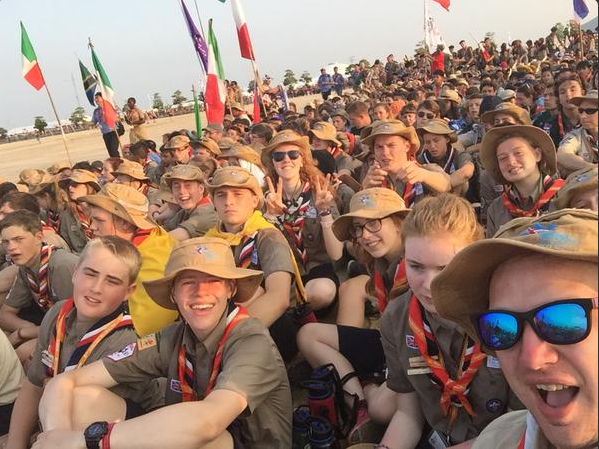 The event was the second largest ever Jamboree held with 38,074 participants and IST attending, but with more countries than ever before, and more than 42,000 day visitors. The 3rd ‘Coming of Age’ Jamboree in 1929 was the largest held, with 50,000 participants. Hope this has got you a tad more excited for tomorrow’s opening ceremony! We are going to be posting as much as we can about the events of the opening ceremony. What a successful morning for us here at #commscamp! After a hard days work yesterday, we were greeted this morning with articles published in Bristol, Barnet and Essex! Well done to our media team and especially Becky with these articles! There is no rest for us though and we are back to it today working on the exiting stories that have been coming in over night. The scouts are starting to arrive at the Jamboree campsite and we were lucky enough to get a guided tour by Andrew Thorp! We first of all got shown around the Media Centre at the Jamboree and got to meet everyone who we are working alongside. During our Skype call we got to see some scouts from Cambridge making their way onto the sub-camps. As Andrew showed us round, we got to see units from America, Italy, Australia and even got a song by scouts from Nigeria! We could see in the background that they were getting everything prepared for the opening ceremony which takes place on Wednesday! We will be here to report on the ceremony and get as many pictures and videos as we can, so make sure you send us any clips you have. If you have any stories to tell us whilst you are in Japan or even in the UK there are many different ways you can contact us! We look forward to hearing all your stories! This is the image of the day for us today! 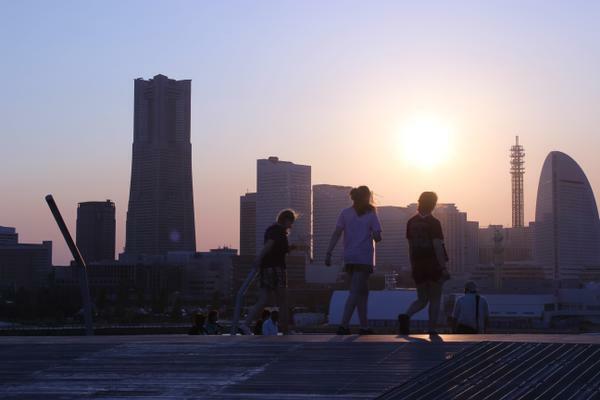 We see Unit 55, Great Manchester East enjoying the last day in Tokyo before heading off to the Jamboree site.